This Orange Chia Smoothie tastes just like an Orange Creamsicle! At the smoothie cafe, my first job, there was a smoothie that was similar to this recipe. I remember the yogurt that was in that recipe was liquid and we pumped it into the smoothies. The recipe I have for you contains chia seeds, and no liquid, pumpable, yogurt. 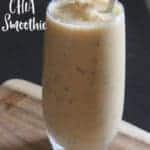 This Orange Chia smoothie has fresh oranges that have been peeled, orange juice, Greek yogurt, honey, vanilla, and ice. 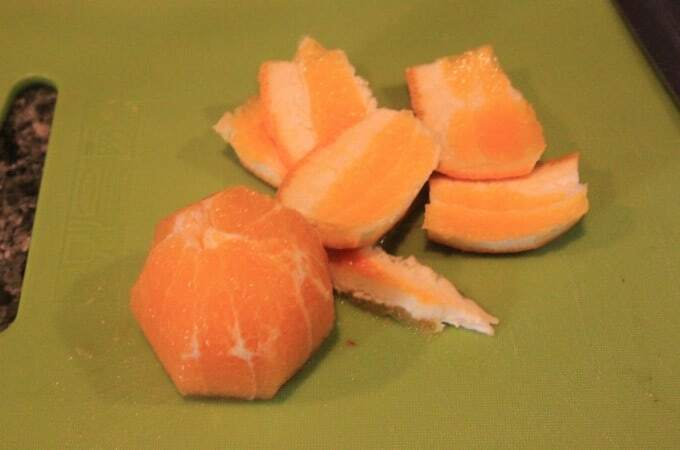 Slice off the ends of the orange. 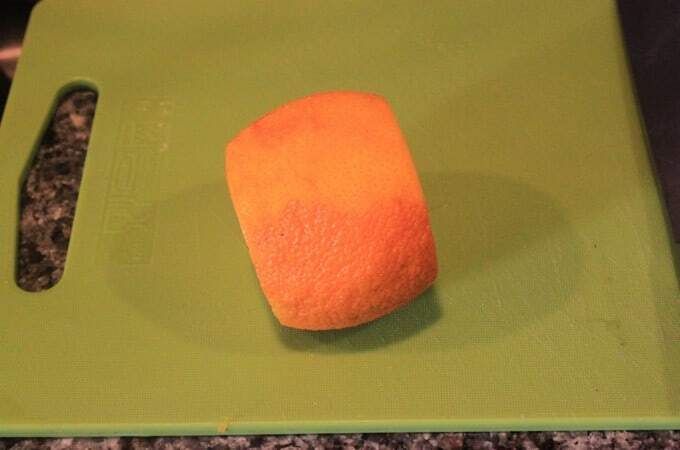 This creates a stable surface to peel the orange. 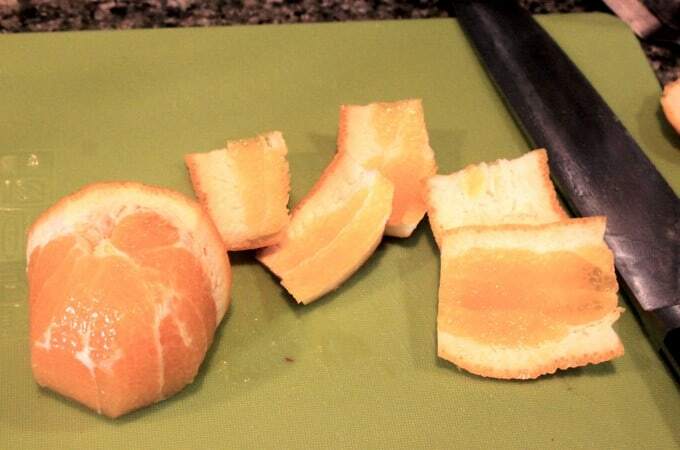 Place all ingredients in blender and blend until well mixed. Yum! I love creamiscles and with the chia seeds adding a health benefit! I love chia seeds!! I haven’t used them in a smoothie before but I will give this recipe a go. I have pinned it to try in the morning. I have all these ingredients and this looks like a great breakfast option! This looks delicious! I make smoothies most every morning and it will be lovely to have a new recipe to try! Thanks for sharing!